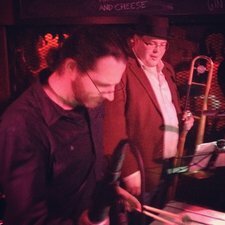 Tubes & Grooves digs deep in the roots of jazz to come out with the heart and soul of the blues, laying funky pockets and crossing over to modern influences, they sound like a traditional jazz band that can step it into high gear and get booties moving on the dance floor. Performing in Vancouver, notably a monthly spot at Falconetti's. Every first Thursday.